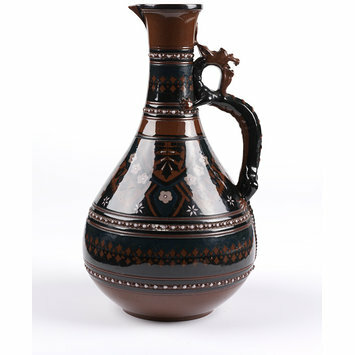 Jug of lead-glaze red stoneware with a moulded handle and inlaid and applied decoration in blacks and creams. 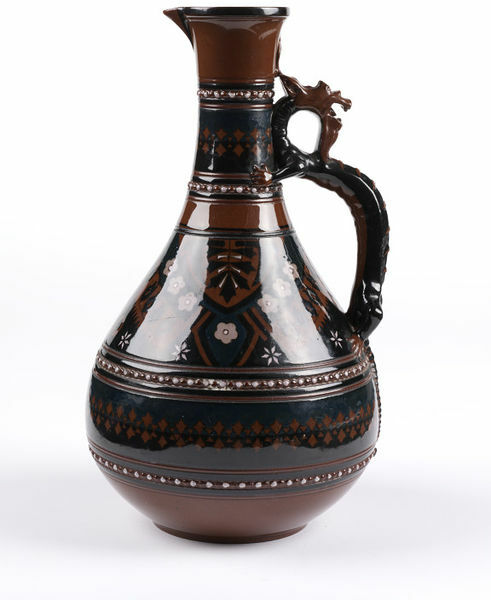 Bulbous body, bottle shape with a tall neck and a small pouring lip. Handle in the form of a bearded dragon. Decorated with geometric patterning based on plant forms in black, blue, white and buff. Four rings of beading. 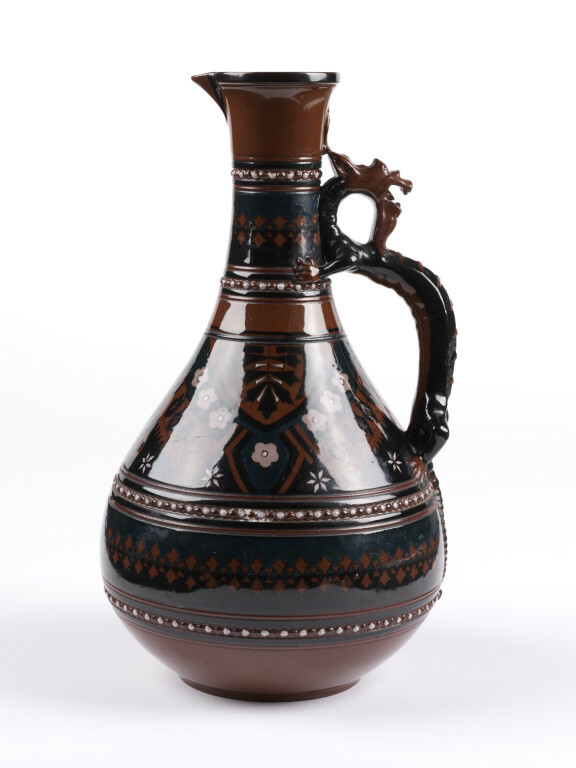 Jug of red stoneware with inlaid and applied decoration, possibly designed by Christopher Dresser, made by Watcombe Pottery Co., Torquay , ca. 1871-1875.